'The cool Breeze E-Cigs Shop' http://www.cool-breeze-e-cigs.com/ , is an online Vaping store, who sell Electronic cigarettes and E-liquid products to the vaping community worldwide. They have dedicated their lives in providing an exemplary service, representing the best of its kind, in quality and satisfaction, to thousands of vapers all over the world, by priding themselves in making flavoursome 100% VG E-juices, and by helping smokers, change over to E-cigarettes, as a healthier alternative to smoking, by getting their nicotine in a safer and much healthier way. All their E-liquids are made from 100% Vegetable Glycerin, and there are a wide variety of e-juices, e-cigarettes and accessories to choose from. You can choose either 5ml, 20ml, or 30ml bottles of E-liquid, and your chosen preferance in nicotine strength and flavours. The company is run by 'Rob and Linda Reid'. Rob and Linda, speak a bit about their journey :- We are a husband & wife company based in Yorkshire, England. Primarily we are vapers, looking to build our vaping business on top quality products and excellent customer service. We are happy to help and you can contact us on 01937 918624 or email us at coolbreeze4ecigs@gmail.com. We have a simple no quibble money back guarantee. If for any reason you are not happy with anything you purchase from us, just return it to us for a full refund. But please check out the Terms and Conditions of the Glossary on our webstore 'The cool Breeze E-Cigs Shop' http://www.cool-breeze-e-cigs.com/ . We hope you find our site easy to use. Our aim is to give you first class customer service backed up by top quality patented, award winning products. Linda uses our products herself, she has used others but will never use others again and of course we only sell products we are happy to use ourselves. All our products have been tested and are covered by the Cool Breeze ‘No Quibble’ Money Back Guarantee. Please take advantage of our FREE SHIPPING on ALL UK orders when you spend £40 or more! We are happy to hear from you via our contact form or you can email us at coolbreeze4ecigs@gmail.com or just call us on 01937 918624. Cool Breeze E-Cigs is run by vapers for vapers, and our aim is to supply our customers with quality products at a great price, backed up by excellent customer service. We test and use the products and e-liquids, and only sell products that we are happy to use ourselves. Everything we sell is backed by our “no quibble” money back guarantee, should you ever need it. We are happy to help you, please call us on 01937 918624 or mobile 07947 094732, alternatively, use the contact form in the side bar of our online shop. Many thanks, Rob & Linda. Welcome to our new look website. We are Rob & Linda Reid and Linda has been vaping today (Sunday 12th May 2013) for 323 days. She has just calculated using the calculator on the sidebar how much money she has saved in that time. She was astounded to learn that it was a massive £2261…but the best thing of course is that she is much healthier, her hair looks glossier, her skin is clearer, her teeth are whiter and one of my personal favourites, she doesn’t stink like a horrible ashtray, and she won’t mind me saying that, Linda now, can’t stand the smell of cigarettes. However, neither of us are “in your face 'you must switch to e-cigarettes”, we say, to each their own and all that. We really do hope you find our website welcoming and friendly, we are happy to help at any time, and believe me, we’ve had some calls at 2:am…but when you offer a service, you have to give the best service and that is our aim. Linda was diagnosed with breast cancer and is still in remission for another 2 years, and is doing well. However, she still couldn’t stop smoking when she was diagnosed and she says if anything, she smoked more. Just 6 days after Linda’s mastectomy and reconstruction, she contracted scepticaemia, and spent quite some time in Intensive Care. She feels she is one of the lucky ones…firstly, that the cancer was diagnosed and secondly, not many people live to tell the tale of scepticaemia. Although there isn’t a doctor in this land who would put his hand on his heart and say that smoking is a direct result of breast cancer, we all know that it is a major contributory factor. When Linda’s son, Anthony, first told her about e-cigarettes, Linda became fascinated and ordered one straight away. She received it on Saturday 23rd June 2012 and has not touched another cigarette since. 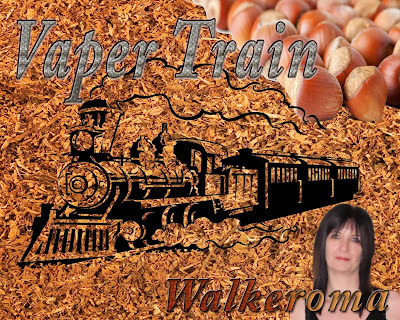 Both myself and Linda, researched electronic cigarettes, and Linda even began an e-magazine about them, all about the history of the cigarette, e-liquids and everything in between. I have never smoked, but I was “hooked” and the pair of us were, and are, like sponges wanting to know every bit of information we can about electronic cigarettes, the benefits of them, the e-liquid, the best and the worst makes, the current EU Directives, the forthcoming talks about regulations, and that list goes on. Our goal is to educate people rather than push to sell. We started Cool Breeze E-Cigs, with the money Linda saved by not smoking. You may think that £2000+ wouldn’t get you a business, but take into account the extra washing of clothes, cleaning windows, air fresheners, smellies for the car, teeth whitener or special toothpaste for smokers, washing the walls down and the extra purchases when nipping in the shop for a packet of fags, the lighters, the ashtrays, the cig boxes, the mess, buying an air purifier (which wasn’t cheap), then there is standing out in the cold if you go to a bar…I won’t go on, I’m sure you get the picture. One last thing on the expense though is the amount of colds, coughs, bronchitis and medicines aren’t cheap, so yes, we saved enough money to start this business in order to help others, and that is our wish. On the website Linda and Rob have various sections for you to browse at your leisure. There are sections you can go to and watch videos of their products, there is a 'Shooting the Breeze Blog where you can read about 'Thirdhand Smoke and How it Mutates and Interferes With Our DNA'…Do You Have Children and/or Pets, are You Living with a Smoker? A Must Read! You will find sections on 'Inspiration', and beautiful poems by 'Rhonda Byrne' where you can leave messages and read the teachings brought by her to you the reader. 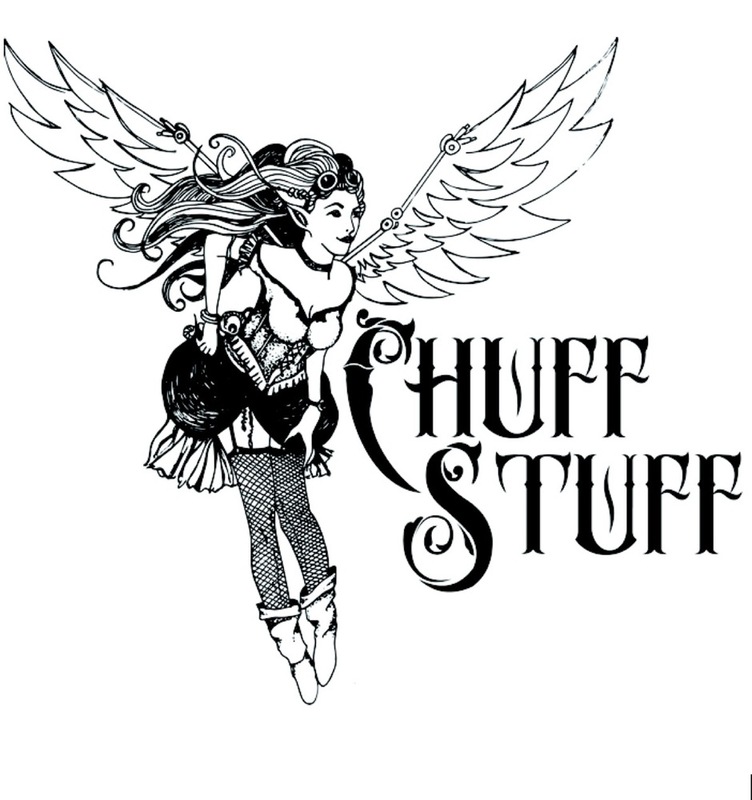 You will find in the shooting the breeze blog, videos which will update you on the SWOF Campaign: Clive Bates On Why Electronic Cigarettes Won’t Work As Medicines, and the EU and all other knowledgeable information on Electronic Cigaretts, which you will find very interesting. If you practice gratitude every day it won’t take long before gratitude is your natural state of being, and when that happens you will have unlocked one of the greatest secrets to life. Most people only think to ask for health when they don’t have it, but you can intend great health at any time. Use the power of your intention every single day and see yourself healthy and well. Intend health for you and intend health for others. The process of creation is the same for all things, whether you want to bring something to you or remove something negative from your life. If you have a habit you wish to break, or anything negative you wish to remove from your life, you must focus on what you want. That means you visualize and imagine yourself in that negative-free state right now. Imagine yourself in as many scenes as you possibly can where the negative situation is completely absent. Imagine yourself happy and free. Eliminate any picture from your mind of you with the negative situation. Just imagine yourself in the state you want to be in, and feel that you are that, right now. and so naturally to me. With each order you place, you will receive your chosen E-liquids/E-cigarettes and three separate A4 sheets, one being your invoice, one being discount codes and one being an information brochure and any questions you may like answered. The invoice tells you everything you have ordered, listed with strength, what is in your order etc. It also explains everything about their E-liquids, Everything is 100% Vegetable Glyceryn and will also tell you what flavourings will crack polycarbonate/plastic clearomizers/tanks etc. They give a list of flavours which will appear on their website soon and they make their juice fresh to order whether it be 'Zero mg strength, 12mg, 18mg, 24mg or as high as 36 mg strength nicotine. There are many juices in their new line of E-liquids, 37 at present, and more new flavours being added each week. Everyone who places an order with them , will receive a 10% off code with each invoice, they will be able to use on their next purchase. They also do a Loyalty Discount Scheme where you will get a customer discount upon purchase. Prices range from 5ml samples where you can try their “Super Sampler” 100% VG Based “Coolteezers” E-Liquid For £4.99 Delivered (UK Only). They have set up a coupon code which works with this product. It just takes £4 off your cart total when you enter the coupon code “supersampler“ on checkout. Make sure you enter supersampler, all lower case with no space to make it work! Just apply the coupon code before you check out, update your cart, and you will get £4 discount. That means when you order one bottle of “Coolteezers” 5ml Quality 100% VG based e-liquid, it will cost you just £4.99 delivered to your door. Please note, that if you live outside the UK the cost will be higher. The supersampler coupon does not work with any other products, if you add other products to the cart you will lose the supersampler discount. This Cool Breeze Special Offer gives you 3 x 10 ml bottles of quality e-liquid for just £15! You can choose from Tobacco Flavour, Menthol Flavour and Coffee Flavour, and you can have any combination you like. Order 3 of the same flavour or one of each, the choice is yours. All purchases made, are sent by first class recorded delivery, to guarantee you get your order in time and without fuss, and it arrives safely to your door next day, where a signature will be required. It ensures you, the customer, you get the best quality of service available. Everything comes beautifully done. All bottles are chip compliant with tactile labels and warning signs. The labels can be read clearly and are all sealed in zip tight plastic bags for delivery. Rob and Linda's new online Vaping store is very important to them. I have spoken with Linda, and they are a lovely, friendly, helpful couple who give a high standard of service to their customers. Linda was telling me her son works in Channel 4 television and has his own show has been asked to go back and work with them again, and Coolbreeze E-cigs have been chosen, and kindly asked, to supply the E-liquids for all the celebrities at the Golden Globe Comedy Awards on Channel 4. Both Linda and Rob are extremely excited. Everyone who buys their quality Juice, keep coming back time and time again. They have a loyal following of customers, and word gets around fast. This, and the fact they make super Juice is one of the reasons why their business is now blooming into one they can be very proud of. The best use of this site is Shopping. • Got my Lemon Sicily E-Liquid & Blister Pack this Morning! • Products Recieved Today! Only ordered yesterday! Comments: The new site is easy to use and very informative, with everything laid out in a logical order, which I like (is that a guy thing?). Being a canny shopper, my favorite bit is the special offers, I have ordered both specials, giving me an eGO CE4 starter kit with 30ml e-juice and 3 extra Visions for £45 and no postage. Best of all someone at work wants one and if I had the time I would become a Cool Breeze Agent! My only dislike is that they only have 3 e-liquid flavours, but the Shooting the Breeze Blog says they will have more flavours soon. So when that happens I will get all my stuff from Cool Breeze postage free! Help Linda and Rob achieve their goals, of helping people who smoke cigarettes, swap over to e-cigarettes for a much healthier, safer, alternative to smoking, and a better lifesyle, by supporting their online shop, 'Cool Breeze E-Cigs Shop' and by joining their Facebook page ' The Cool Breezers Chat & Meet Cafe' https://www.facebook.com/groups/526514424075344/ where you will be able to chat with fellow vapers, get all the information you need on Vaping, and join an ever growing community, and a loyal family of vapers. If you haven't already tried Coolbreeze E-cigs E-liquids before, head over to their online shop and have a look.